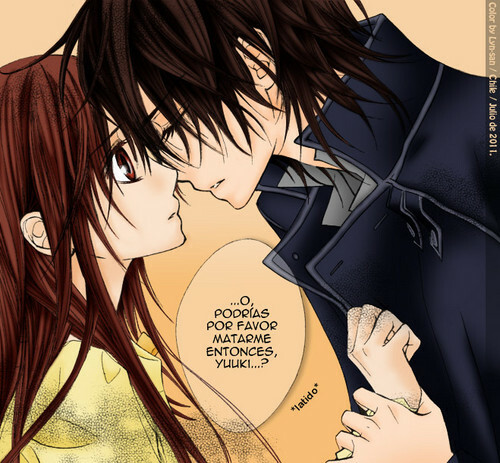 Vampire Knight. blood. Wallpaper and background images in the Vampire Knight club tagged: vampire knight anime zero kaname yuuki screencap awesome. This Vampire Knight photo contains anime, comic kitabu, manga, cartoon, and mkono. ZERO AINT IN HERE, GET USED 2 IT!!! And why is it in Spanish?!?!?!?!?!?!?!?!?!?!?!?! ?